The Peanuts Movie was released today. We will be headed to the theater to watch tomorrow. My kids are excited to see this movie, we can't wait. 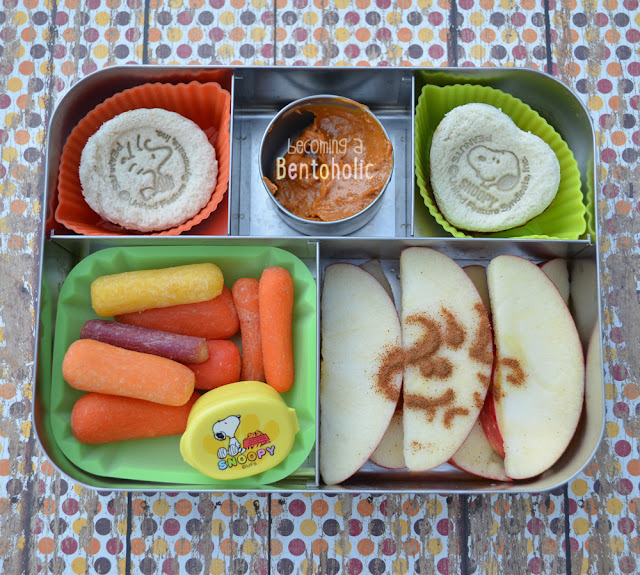 Peanuts themed bentos for lunch today! In this bento: PB&J Woodstock & Snoopy mini sandwiches inside leaf shaped silicone cups, pumpkin cookie butter to use as dip for the apple slices, rainbow baby carrots, ranch dressing in the Snoopy container, and apple slice sprinkled with a cinnamon Woodstock. 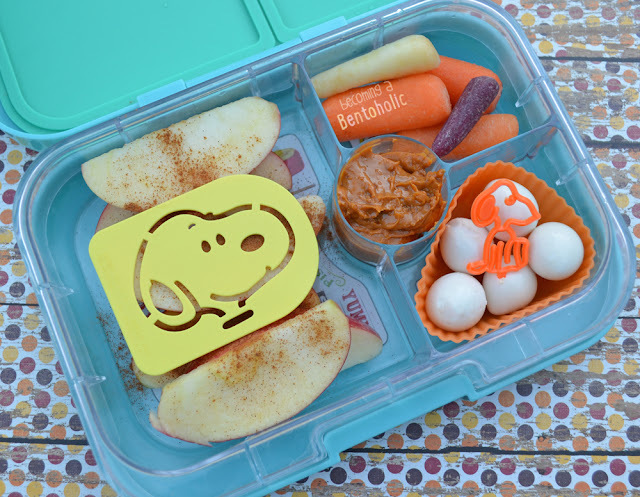 In this bento: cinnamon sprinkled apple slices decorated with a Snoopy stencil, pumpkin cookie butter dip, baby rainbow carrots, and quail eggs decorated with a Snoopy pick.